A very warm welcome to you! 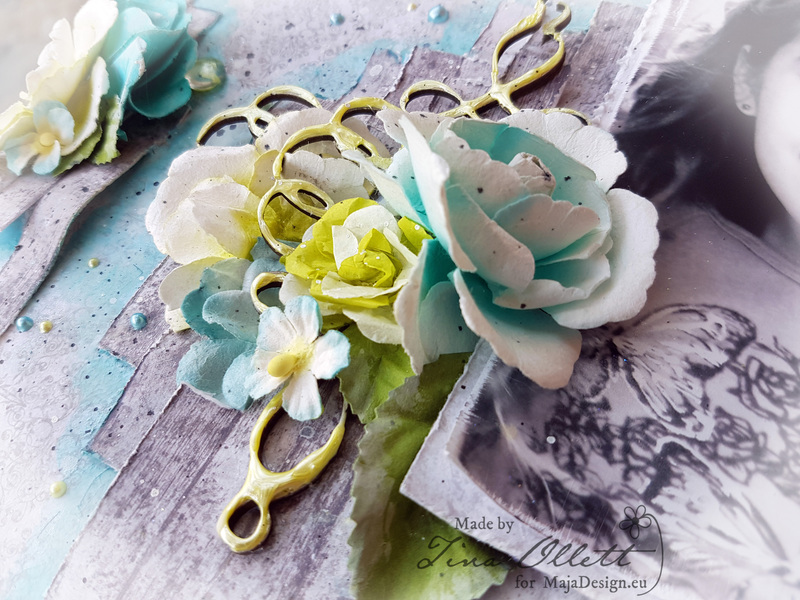 Tina O with you today to share my latest Maja Design creation. I have titled this project “Adorable” which best describes my gorgeous eldest daughter at a much younger age. 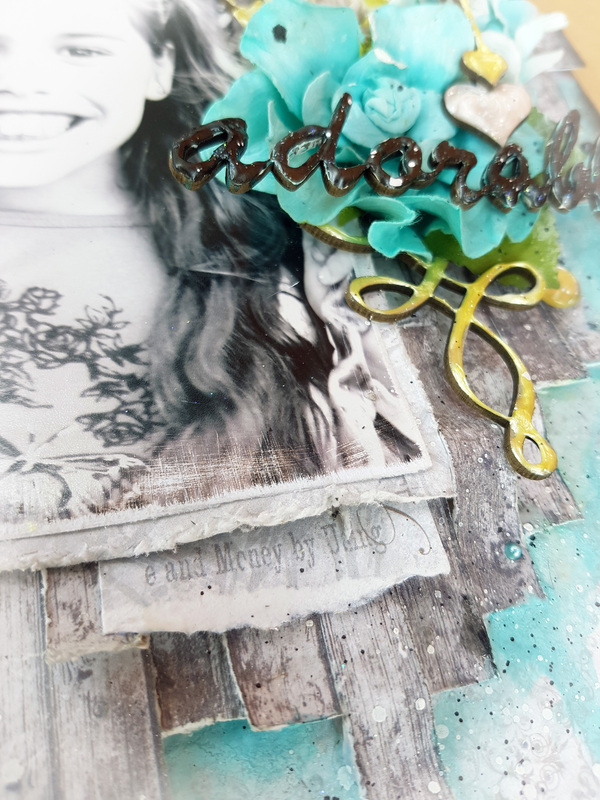 I have used Maja Designs gorgeous Nyhavn collection. 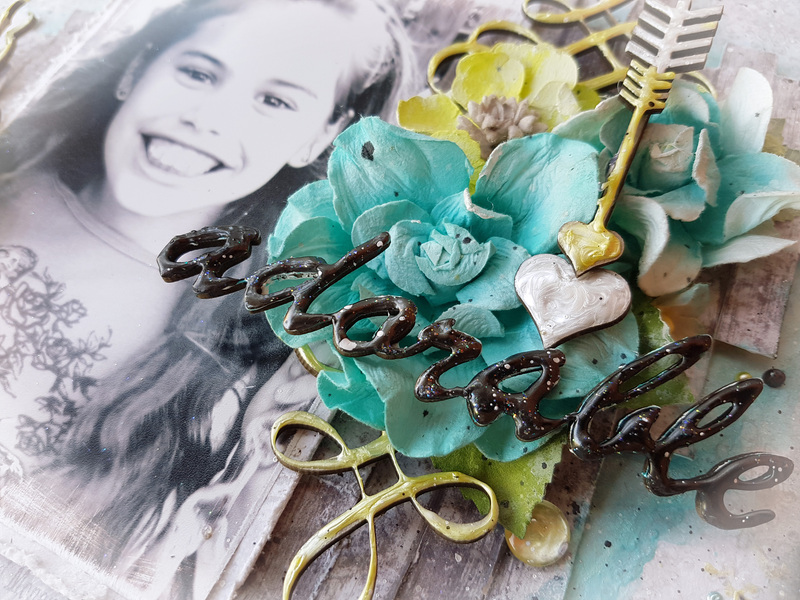 This collection is so very versatile, I could go on using it forever. This photo of my daughter was taken back when we lived in a little mining town in regional Queensland. Her favourite pastime was swinging on the swingset. I have so many photos of her on it, but this one is by far my favourite. It of course is a little blurry due to my lack of photography skills, but she looks so radiantly happy and that smile just melts my heart. I have used “Eating Out” as my background page. It was kept pretty simple with just a little colouring of H2O’s. I also added splatterings of Dylusions and also some Liquid Pearl Accents. You can see here that I have layered strips of the boards from “Sitting at the dock”. These were all cut into random strips and distressed. I then layered them up using a hot glue gun as I find this the quickest way. The Harbour Hertiage paper was used to mat the photo and I also used a strip of it to sit at the top and bottom of the photo to give more layers to my layout. 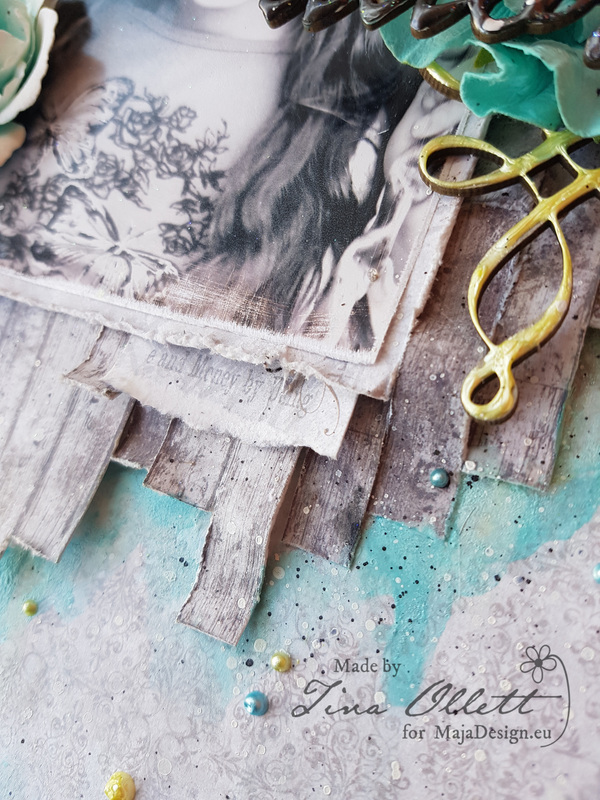 I have used some Dusty Attic chipboards to embellish my page. They were all dressed with liquid pearls in an array of colours to keep my page bright and fun. 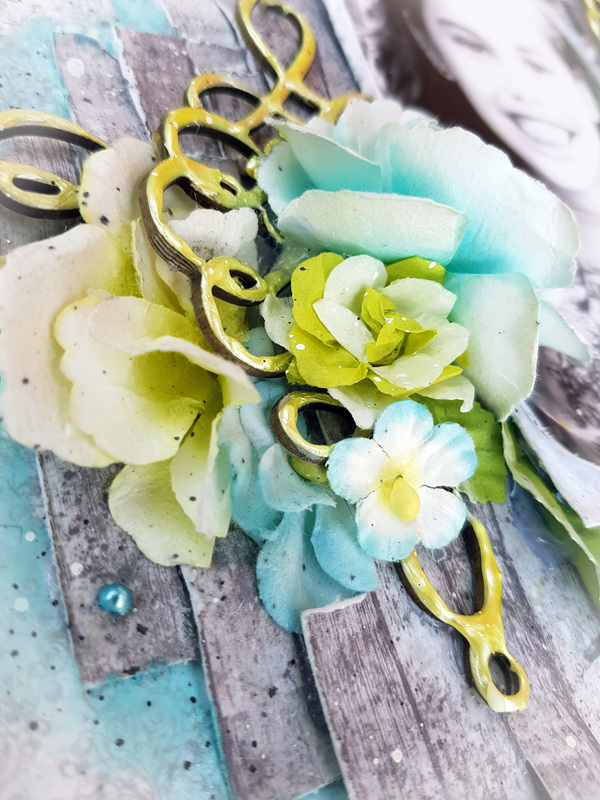 My flower clusters were created using Prima Marketing flowers and some Kaisercraft paper leaves. I have also added in a couple of Cabochons which I have coloured using liquid pearls. And from another view. The papers from this collection have been listed below for your convenience. Well that is all from me today. I hope you have a very beautiful week.